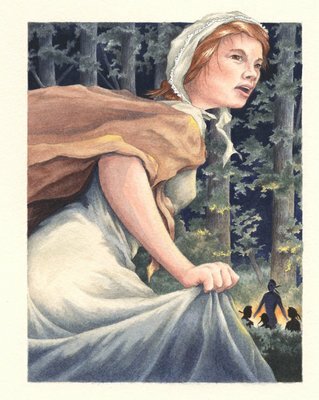 Illustration upon which the 42cent "Laura Secord: Legendary Patriot" stamp was based (see call# SN90001033). Protected by copyright: Uses are subject to the terms of a contract. Contact the repository for further information. Responsibility for any use rests exclusively with the user.